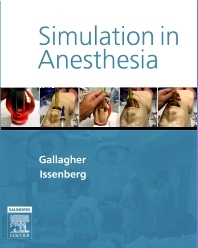 Following up his best-selling Board Stiff TEE & Too manuals for the oral boards in anesthesiology, Dr. Gallagher has produced a step-by-step how-to guide on conducting an anesthesia simulation. Topics include which equipment to use as well as suggestions for simulation scenarios that will help train your staff with a theoretical basis for handling even the most unexpected complications. This simulation guide with video clips helps to close the gaps that may result when abnormal situations are not recognized quickly enough or the response to them is haphazard and slow. The result is a highly effective, enjoyable, and affordable tool on this increasingly important way to ensure resources are being managed effectively. What is a simulator — a clinical checklist or a theater? 7. What other disciplines should we work with?